Im a Fan of Nail Trix... Are you? Fill in the below form and you can recommend ‘Nail Trix’ to a friend or family member via a text message. Show your support with a quick share of ‘Nail Trix’. Nail Trix is A#1! Han, Hannah, Kyle and the rest of the gang are top-notch, both for their nail expertise and customer service. You won’t find a happier, cleaner nail salon! I would recommend to anyone and will ONLY go here for nail services. They go above and beyond. Always feel like you are their top priority when you walk through the door and always leave beyond satisfied when done. Nails and toes always look perfect and always complimented on them over and over again. They are top notch! This salon is the best Nail Salon I’ve ever gone to and will continue to come to as long as I live here. I travel a lot so I always visit different salons when I’m traveling but no where has the level of customer service and professionalism this place exudes. All the employees there are so kind and friendly. They always greet me with a smile and by name which is impressive since they are always so busy. I love all the creativeness and talents this place has to offer. Every nail design is on point and legit everytime. I always get a ton of compliments on how beautiful my nails and brows are everywhere I go. What’s best is I always leave happy and smiling from ear to ear. Once you come visit you will understand how amazing this salon is. I highly recommend this place to everyone I know. Nail Trix is a fantastic salon. Their level of skill and artistic ability sets them apart from other nail salons. My expectations are always exceeded and my nails last longer than any place I’ve ever gone before. This salon is amazing. They provide exceptional customer service because they want you to leave loving your look!! You won’t be disappointed! Quality work in a friendly & professional atmosphere. I’ve been going to Nail Trix for years and they are the best nail salon in the area! Quality work and a friendly “part of the family” environment. Awesome place and people! I started to go here b/c I couldn’t get my nails to stay on and they were the only place left I hadn’t tried. Omg thank the lord for the wonderful people. I can take any pic off line and they do it! And it looks amazing! There also willing to try things the customers want, and they haven’t done! Han and her mom even service my disabled daughter. They accommodate her and her wheelchair they message her tight arms and legs while she waits for me to finish my nails. It’s no longer just a nail shop there family! Such kind hearts and great service! Clean, friendly, and so creative! They go out of their way to please customers. I always get compliments and every tech is terrific. You won’t be disappointed! Try the ANC in a custom color or design. Clean and friendly environment, lovely staff and great prices!! What else can you ask for!! Love these ladies!! The ENTIRE Nail Trix crew is friendly, courteous, accommodating, informative, warm and welcoming beyond measure! I recommend their salon on a daily basis. I am blessed and honored to know them. I am not a fan of this place . I will never forget the pain and disappointment dissatisfaction I have felt for this place . I’m so upset with the service and irresponsibility and lack of communication I’ve received from this place . If anyone will ask me about this place I’ll tell them not to waste their time !!!!! Hands down BEST nail salon I have EVER been to in the capital region & across several states that I’ve visited. Being a customer in this industry you’ve grown to expect poor customer service sadly…when I first walked into Nail Trix I assumed it would be the same drill… my mind was blown from the minute I walked in when I received immediate recognition from the owner. While sitting in my chair waiting for my technician I watched the owner and several other technicians greet more than 10 customers by name as they came through the door, knowing each of them individually and asking about their vacations and other personal things that they had discussed at prior appointments. The service is wonderful, they are all so skilled & keep up with all new trends. They are also so Americanized, makes you feel very comfortable. I’m sad I didn’t find them sooner, but I will forever be a customer!!!!! I absolutely love nail trix! Han always takes care of my self and my family! Everyone there is so great! This place is the best always a great atmosphere, cheerful and personable. After many issues at other local nail salons I was given a gift card from a friend for my birthday to Nail Trix. After over 2 years I still drive 20 minutes to the best nail salon with best staff and atmosphere. I have been coming here for over 2 years and I have never had a better experience! Han and Kyle are the best in the capital region. The work is consistent and fabulous everytime! Love this nail salon! Always a friendly staff & makes you feel welcome. Nails always come out perfect & wonderful. Nails always come out great, never disappoints! Excellent service, clean, always treated like family by all who work there. Anything new they have and talented people who make art out of your nails. They are the most amazing nail salon I have ever been to!!! Amazing work. They are always smiling and willing to go the extra mile for you. This salon is amazing. Everyone there is beyond fantastic. I never leave unhappy and the quality of my nails speak for themselves in the compliments I get. I am a very big fan of Nail Trix because all of the employees are so kind and friendly. Also the skill and quality level of the workers at this salon is incredible. I promise you will never be let down with your results! They are the best at what they do and have great workers there. The shop has a nice friendly and relaxing vibe. Always so friendly and helpful. Great customer service and always ahead of the latest trends! I live in Albany and drive to Clifton Park because I will only get my nails done here. They’re sweet, clean and make the most amazing creations. Quality work, friendly atmosphere, artistic abilities beyond the norm! They are the only nail salon who gives you exactly what you are looking for. They never say no. Han is my nail tech and she is so patient and willing to make your nails absolutely beautiful every time. They stand behind ALL their work. Very accommodating and truly do an amazing job. Staff go above and beyond to make every visit an outstanding experience. Extremely friendly and professional. Willing to spend the time to provide quality work – even if there’s an unforeseen circumstance, they back up their services to make sure you’re pleased. 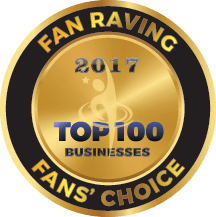 Highly recommend them for this award because they exceed the industry standard in a saturated market – they truly stand apart of the competition. I love, I mean really am in love with Nail Trix. There staff is amazing and go beyond and above to make sure to leave their customers more than satisfied. I have OCD very obsessed with cleanliness and I love things to be a certain way. I can be very picky at times and indecisive, but the staff there always meet my needs. They​ are so warm, welcoming, and accommodating. I really appreciate them so much to the point I even come in on my free time to drop in to say hello and to pet the company dog Susie. Hannah, Han, and their mother are some the sweetest and kindest people I’ve ever met and their are not many people I can say that about. Love you guys!! You are great and love your staff. You all do such exceptional work!!!! Beautiful work and so friendly. they are fast, clean, nice, & do good work. Nail Trix is the best! They have the most talented employees with amazing customer service. They care for their clients and that is so refreshing. You can tell that the owner treats their employees well because they are usually cheery and giggly. The atmosphere there is always upbeat and happy, I’m always satisfied when I leave. I only go there and will highly recommend them to everyone. Let me just start out by saying how clean and friendly all the staff is. They are very professional and they do a great job at what they do. My nails have always been on point and I haven’t gone to any other nail place in months. I would recommend nail trixs to anybody . They do phenomenal work, are very accommodating & so friendly! Amazing service, beautiful designs and spectacular artistic abilities by staff. If you want something fun or even classic, the quality of the work is fantastic. Nail Trix is the BEST. They are very friendly, helpful and stand behind their work. If you’re not happy, they’re not happy. Wouldn’t go anywhere else! Friendly, fun and super social! Not to mention the best quality I’ve gotten anywhere in years ! This place is absolutely amazing. Always fulfill your needs and do exactly what you want or better! I’ve been going to Kyle for years now and I leave so happy every time! They really take their time and don’t want you to leave unless your completely satisfied. I can’t say enough good things about them! Where do I Begin? I have been a customer for years. Outstanding service and results. Take their time and you definitely get outstanding service. Would never go anyplace else. Always professional and accommodating! They are experts in all types of manicures, pedicures and waxing services. They also are warm caring people who provide a relaxing, pampering atmosphere. My nails are always beautiful when I leave. I get more compliments on them when I have them done there than anywhere else. Everyone is nice and helpful. Clean facility too. Had my beautiful wedding nails done there too! All the nail techs at Nail Trix are professional and skilled. The best place to get your nails done! My two favorite techs are Han & Hannah! The staff is very professional and friendly, the service is always amazing. My nails look beautiful each and every time I leave there. I get so compliments on the workmanship and color choices. They have so many colors to choose from! Love love love this nail salon! I travel almost 35 minutes and refuse to go anywhere else! I get the perfect manicure every time and they have so many colors in gel ANC and regular polish. Tell all your friends about Nail Trix in Clifton Park! Love love love Nail Trix! I\’ve been a client of Nail Trix for over 5 years and wouldn\’t dream of going anywhere else. 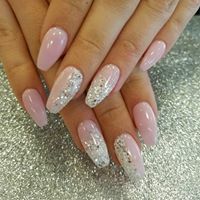 All the hottest, techniques, styles, colors and top notch staff who are professional and skilled in creating beautiful, perfectly manicured nails. My ANC lasts 4-5 weeks with no lifting! No other nail salon has ever come close to treating me or my young daughter with the kindness and care Nail Trix does. You are always greeted with a happy smile and their real desire to satisfy your needs. Love the family atmosphere, friendly and clean. ALWAYS love my nails when I’m done (thanks Kyle!). The knowledge of all things nails from Han and Hannah never leaves you feeling insecure or unsure of your decision to visit Nail Trix, I tell everyone to go there and will be a loyal customer always! Nail Trix is the best!!! I would highly recommend Nail Trix! Very customer orientated and welcoming! Amazing job! Always professional. CLEAN! Up to date on latest trends and techniques. Employees treat you like your family! 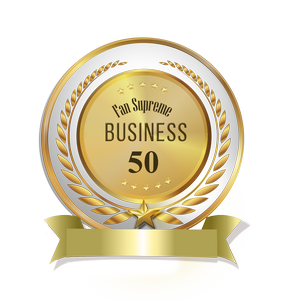 I have been a customer here for over 10 years and wouldn’t go anywhere else! My nails never looked better after having them done here & they are always the friendliest people! Love this place! Nail Trix is the only nail salon I will go to. I have been getting my nails and eyebrows done there for years and they are always professional and do a great job. I am always greeted by name as soon as I walk in and they ask about my family (they also have their nails done there) To me, this shows that they really value their customers.The salon has a very welcoming atmosphere and everyone is friendly and talkative. Best salon I have ever been to! Nail Trix is by far the BEST nail salon in the area. They have an exceptionally talented and professional staff with the highest standards for quality and cleanliness. Their product lines include ANC and OPI, allowing a large range of personalized choices from classic to creative. The technicians listen to their clients and are dedicated to meeting their needs. Everyone is always friendly and accommodating. The word has been out, so I would suggest booking an appointment in advance if your schedule is tight or if you prefer a specific technician. Han, Hannah, and Kyle are at the top of their game and I would recommend all three from personal experience, although you can’t go wrong with any of their talented staff. Absolutely love Nail trix!! Everyone is so professional and welcoming!! My nails always look amazing!! Walked in and never lefted!! Nail trix is not only a friendly, welcoming place, but they are full of experienced nail techs! Plenty of other places lack the skill that nail trix has… and they never fail to make each and every client walk out feeling beautiful! Hands down the best place to get your finger and toes done. I’ve been a customer for well over 5 years and have never had better service. My nails get so many compliments. You get treated like a friend rather than a dollar sign. Nail Trix is the BEST NAIL SALON hands down! This is family run … Han, Hannah and their Mom are the nicest people and always ensure each client is greeted with a smile and a hello and want each client to be completely satisfied. My Nail Tech, Kyle, is amazing! Each tech there is great. If you want a great experience and beautiful nails, Nail Trix is the place to go! I can’t say enough good things. I started getting my nails done last year and haven\’t stopped since! Nail Trix does amazing work! I have a very tight schedule, so I am always a walk in. Greeted immediately and placed wth a person every single time. No matter who I sit with my nails are on point! Love ❤️ Nail Trix! Best nail place ever! I love Han and her crew! Nail Trix is by far the best nail salon around. 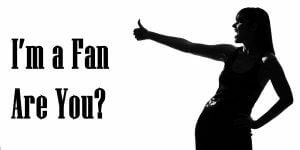 From the minute you walk in the door you are treated with the utmost respect and they are all very attentive to your needs. The salon is one of the cleanest around and always walk out of there so happy with my manicure and pedicure. I\’ve been to many other salons and they can be very rude and rush you through. I would recommend this salon to anyone that is looking for one of the best manicures and pedicures around. Han, Kyle and everyone that works there are the best at what they do! This is the best nail salon I have ever been too. Everyone is professional, talented and courteous. They go out of their way to make clients feel special. Incredibly clean. I just love Han and her whole salon!